Shimadzu Method Packages deliver conditions for efficient and simultaneous multi-component analysis. They enable the user to quickly and easily implement complex methods without costly and laborious method development by providing sample preparation protocols, LC separation conditions, and MS acquisition parameters. A PFPP: Pentafluorophenylpropyl column method was newly adapted to expand your choice in separation conditions as well as target compounds. This method package supports the latest Shimadzu UFMS triple quadrupole mass spectrometer series, LCMS-8030, 8040 and 8050. 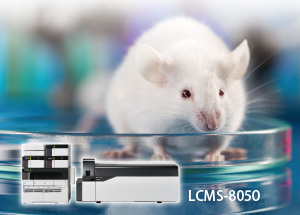 LCMS-8050 delivers best-in-class sensitivity and the fastest scanning and polarity switching rates. Protocols are included for the preparation of extracts from biological tissue. Saving the user time and money, even laboratories unfamiliar with extraction can follow prescribed steps for LC/MS/MS sample preparation. Due to mass differences between biological tissue samples, normalization of results must be performed when multiple samples are analyzed. 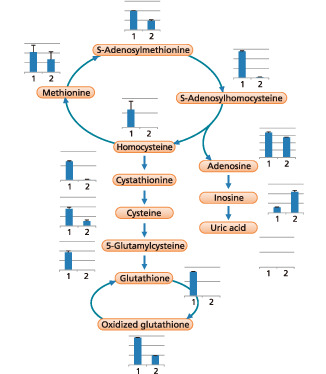 This method package includes optimized analytical conditions for two internal standards to permit normalization across multiple samples. It is the user’s responsibility to adopt appropriate quality control tests using standard samples to confirm qualitative and quantitative information obtained with this method package.